1. Submit the Registration form. 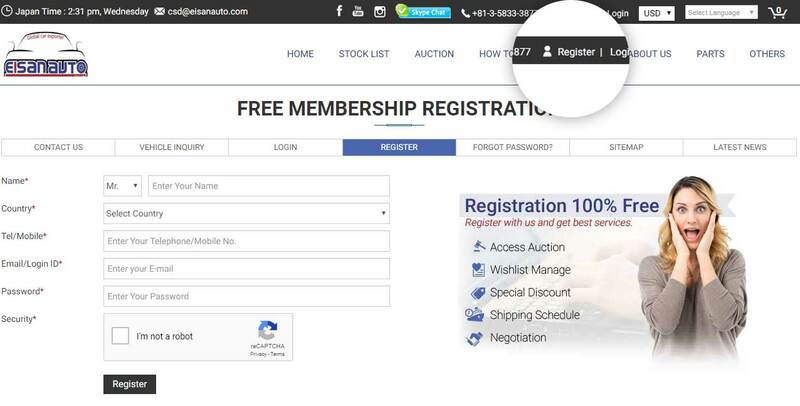 Please click on "Register" link on the top bar. Registration form will open, fill in all the details like Name, Country, Email, Phone Number and click on Register button. You will receive a verification email on your registered email id for your email address verification. Click on the link provided in the email and complete the verification step. Thank you!! Your registration process is complete at Eisan Co., Ltd. website. Our staff will check your registration and activate your account to allow login to our website. Once your account is activated you can login to website with the login id and password you have filled while registering and got in the email. "It Easy, Register Free Now"